Ray Brabury is one of the most celebrated speculative fiction authors of the 20th and 21st century and has been entertaining readers with compelling and thought provoking literature and media for over 60 years, including the seminal work Fahrenheit 451. 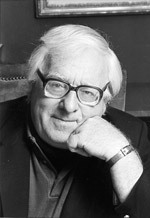 Many of Ray Bradbury's stories have been turned into TV shows and films (including a 1966 filming of Fahrenheit 451) and he has been involved in TV and film closely through his career, including hosting his own show in 1983. Much of Bradbury's work is by his own admission not science fiction, in fact he has advised that the only Scifi book he has written is Fahrenheit 451, the remaining works are either fantasy or more often speculative fiction, including the Martian Chronicles. 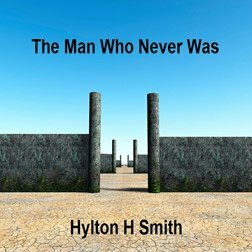 He has also written many essays on arts and culture and these have received the attention of critics in this field. He has received many honours in his lifetime including the French Commandeur "Ordre des Arts et des Lettres" medal (for his work in film), a special citation from the Pulitzer Board, The World Fantasy award life achievement, the Stoker life achievement award, First Fandom award, an Emmy award for the Halloween tree and a Prometheus award for Fahrenheit 451. He has also been named SFPA Grandmaster in 2008, received a medal for Distinguished Contribution to American Letters Award from the National Book Foundation and was presented with the National Medal of Arts by the US president of the time George W Bush. The Ray Bradbury award was named in his honour and recognises excellence in screenwriting, it is currently presented at the Nebula Awards ceremony (by the Science Fiction and Fantasy Writers of America).